Does the thought of a big hairy spider crawling up your leg give you the willies? Well, how about a hairless spider? And by hairless, we really mean skinless. How would you feel about an 8-legged, 4-eyed, boney spider creeping up the side of your leg instead? Nevermind, you don't have to answer that. We see the goosebumps forming on your skin at this very moment. It's safe to say that you suffer from arachnophobia, regardless if the spider has skin, scales, hair, or just bones. 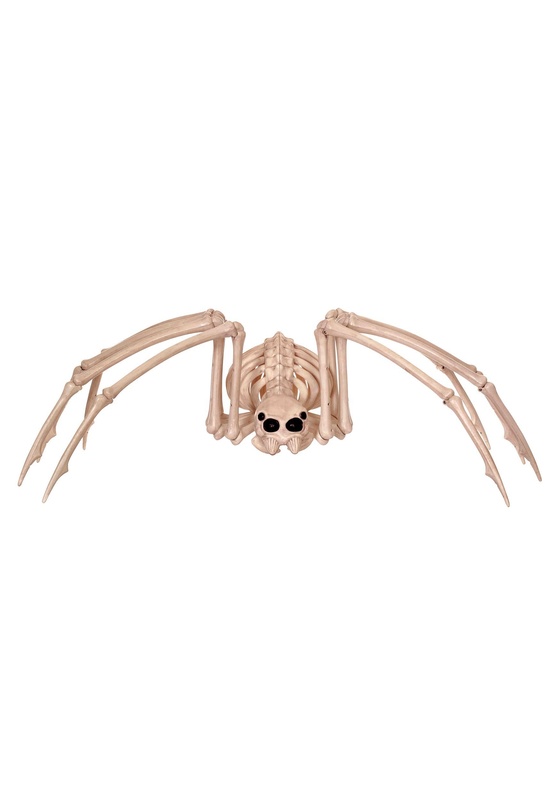 If you are looking for a universally frightening Halloween decoration that will scare just about anyone who encounters it, then this 28" skeleton spider is exactly what you need. The molded skeleton body is 9" long and the long skinny legs are poseable. The head rotates so you can make sure this creepy arachnid can stare at anyone who dares to walk up to your front door!